Ducati has released a teaser image of a new Scrambler that is set to debut on September 10. Considering the fact that the Scrambler 800 was launched in 2015, this can be the updated Scrambler. While it is just a speculation for now, we believe Ducati will showcase the 2018 Scrambler at the Intermot show scheduled to take place later this year. 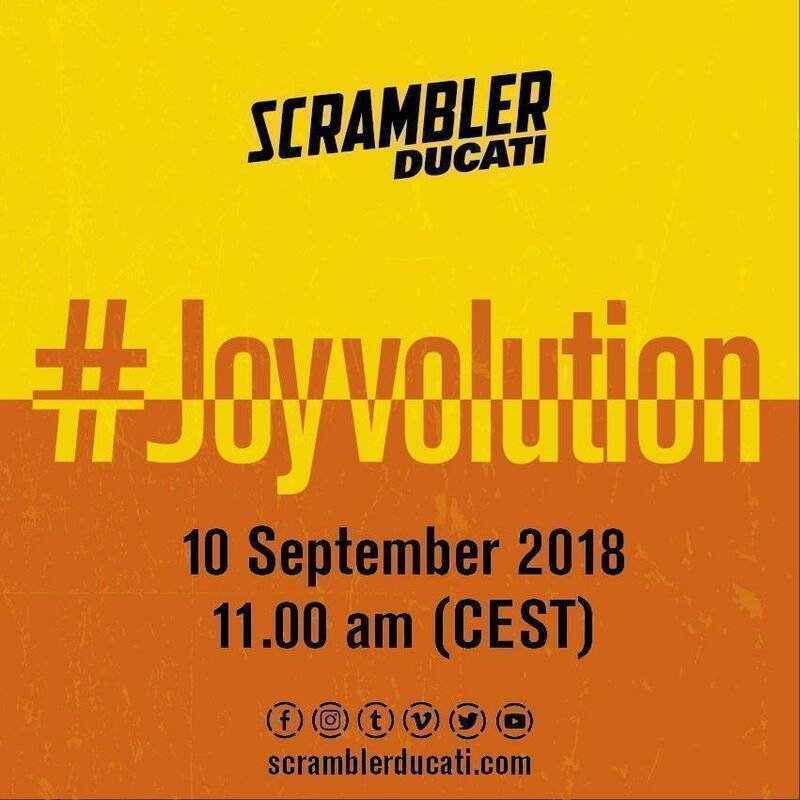 The Italian motorcycle manufacturer has already started social campaigns around the same with #Joyvolution. The Scrambler range is quite vast and consists of all possible iterations that one can think of on it. From the looks of the it, the Ducati Scrambler 800 will undergo a design upgrade for sure which can be seen with some of the restyled components. We also believe that Ducati will update the 803cc motor and make it more powerful and torquey than before, to bring in more excitement to the junior Scrambler. A significant upgrade should justify the Scrambler 800 entering its fifth year in 2019. Ducati might also look at making a Desert Sled version of the larger Scrambler 1100 to take on the upcoming Triumph Scrambler 1200. The latter will be based on the Triumph Bonneville range and will come with a host of electronics. Ducati too, if confirms working on the Desert Sled 1100, should equip it with more tech, features and price it competitively unlike its 800cc version. We have already ridden the Ducati Scrambler 1100 and here are our initial impressions.